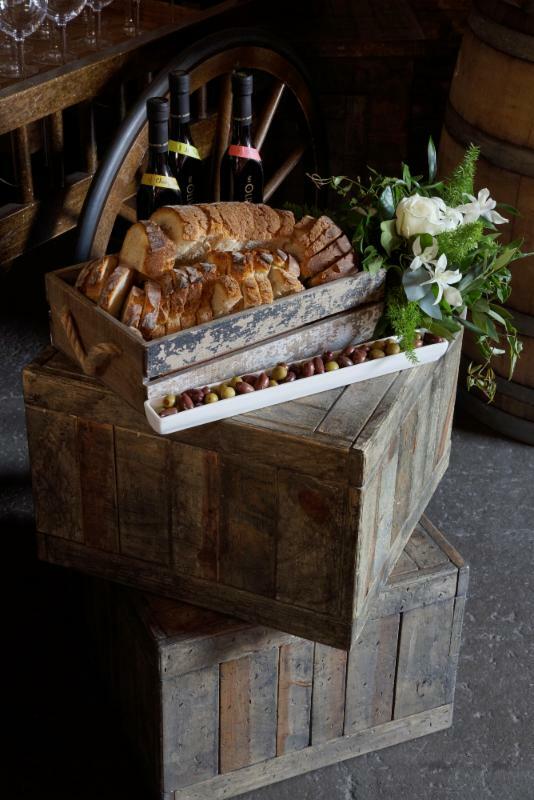 Mary Ann Hernandez, Co-owner and Director of Special Events of Chef Fredy Cuisine, was extremely excited to use our new Wine Barrels for their Guest Designer Table, though explaining that their company's theme ideas almost always start with the food and ideally local and organic whenever possible. 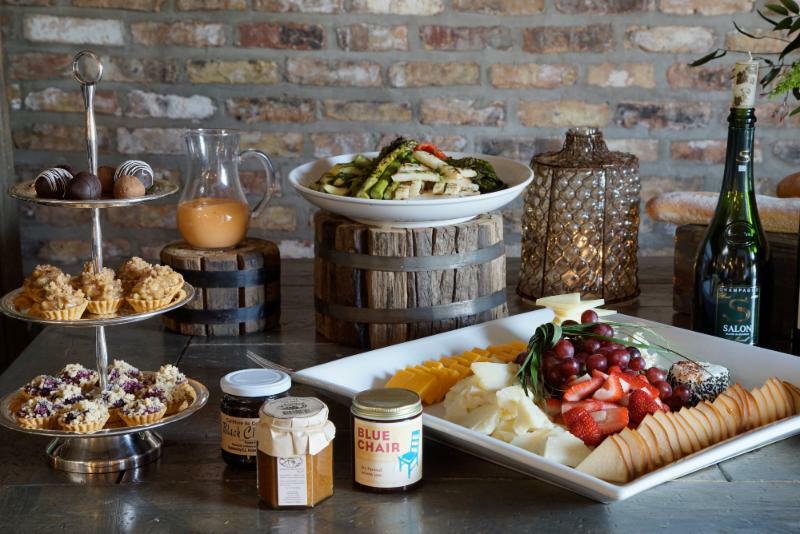 This catering team's experience of over 15 years (20 as husband and wife) showed when they effortlessly carved out time to design our table while prepping the food for the Blackhawks' charter flight to Tampa Bay that afternoon. Since the Blackhawks have been longtime valued clients of the firm and on everybody's minds, their stories were fascinating. Who knew how much catering is involved with professional sports teams and VIP clients like Maroon 5 and Coldplay on private charter flights. Their design entitled "Wine Country Buffet" was a neighborhood effort. Chef Fredy's newest venture, Chef Fredy To-Go, offers gourmet take-out at 1752 W. Grand just two blocks from our showroom. 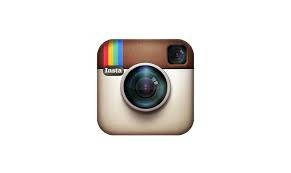 The Flower Firm, who created all the subtle fresh floral accents, is right around the corner. 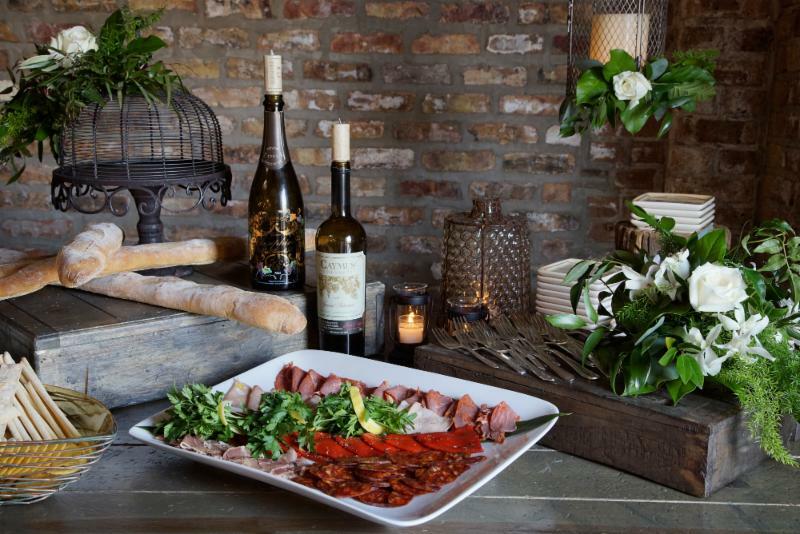 Jacklyn Talbert, Sales Manager for The Flower Firm, understood Mary Ann's desire for a realistic and simple design to allow the food to show through. Of course she still searched the showroom for unusual floral vessels. We think she found them by attaching an arrangement atop our Iron Filigreed Pedestal Server with Birdcage Dome Cover and the Diamond Mesh Cylinder with Handle. In each of the following shots you will see she placed just the right amount of subtle floral everywhere. 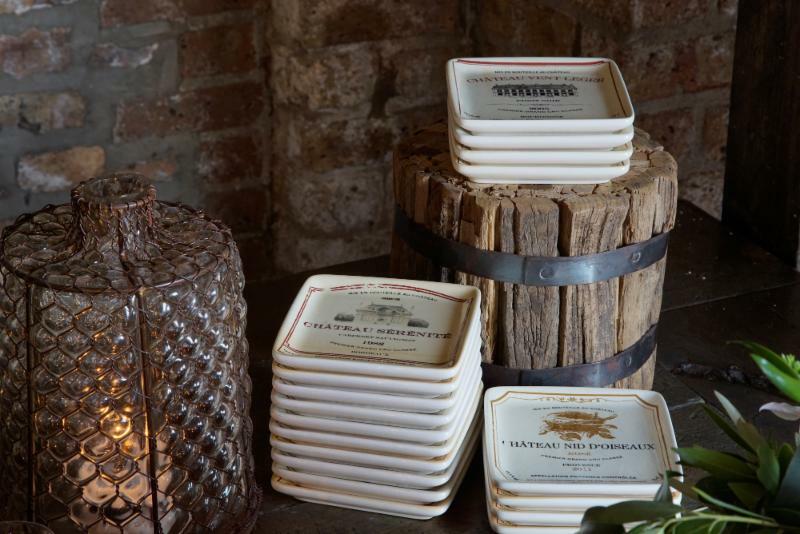 We are glad Mary Ann used our new Wine Label Canape plates and think they are a perfect complement to the Wine Country Buffet theme. They come in sets of four mixed patterns. 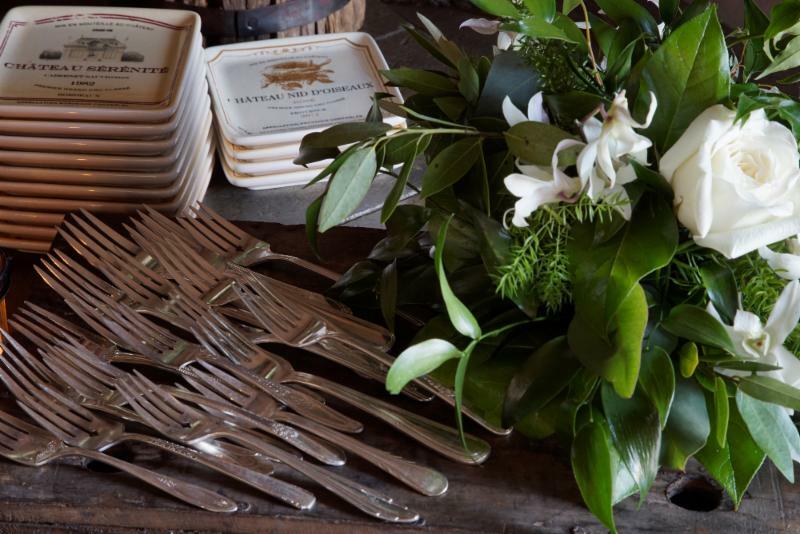 The way Mary Ann displayed our Heirloom Silver Salad Forks not only complements the mixed pattern plates, but adds more texture to the overall table design. The buffet is framed by our new Aged Farm Light Bridge. 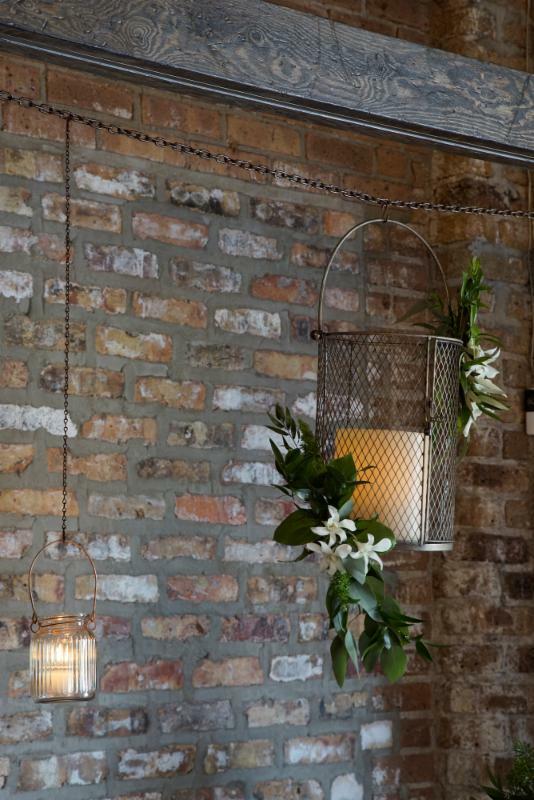 Although the Light Bridge product line is designed to be a freestanding, self-powered lighting system, this rustic look called for hanging candles from our Copper Chains. Ribbed Glass Votive Holders with Copper Handles are interspersed with Diamond Mesh Cylinders with Handles which enclose Ivory Pillar Cylinder Battery Operated Candles. 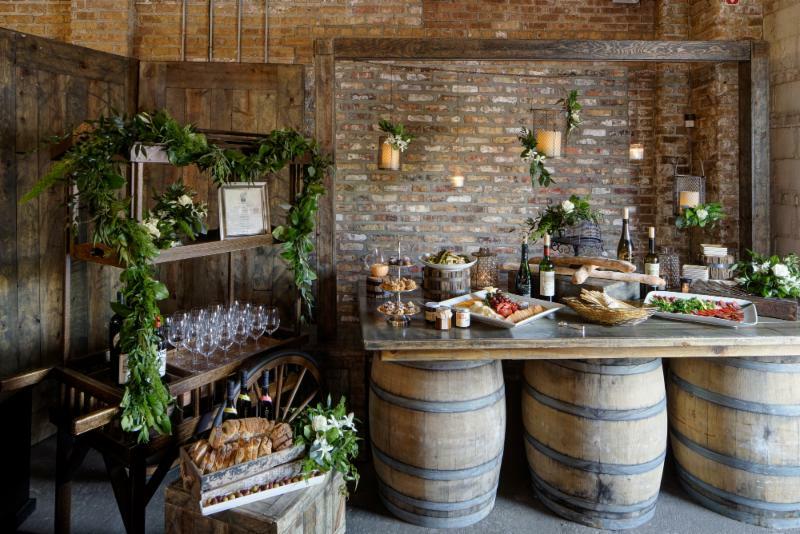 In addition to the Aged Farm Table with Wine Barrels as a base, Mary Ann and Jackie expanded the theme by including our Wooden Street Vendor Cart as a wine station. Wine is very much a part of Mary Ann and Chef Fredy's interest in gastronomy. Because they believe strongly in continuing education, they attended classes at the Culinary Institute of America at Greystone (www.ciachef.edu/california) where their courses ranged from Food Writing and Cook Book Writing to European Plated Desserts. They even recommend staying in the dorm rooms because instead of the normal dorm vibe, they have a country rustic motif. Mary Ann became a Master in Wine at Greystone and said "you can't go wrong with classes in Napa while you take in all of the wine, now can you?" 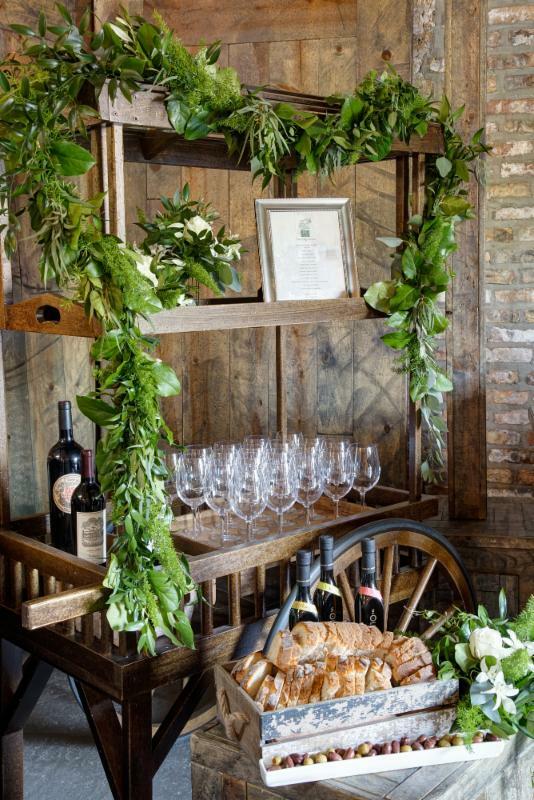 By stacking our Aged Farm Risers on the floor, they were able to create an additional mini olive oil tasting station. To tie in the rustic feel, additional Aged Farm Risers are added. Our Weathered Wood Market Crate is turned upside down and the Aged Farm Wood Base (in reality, the base of our Aged Farm Highboy) both gave elevation and extra depth of texture. 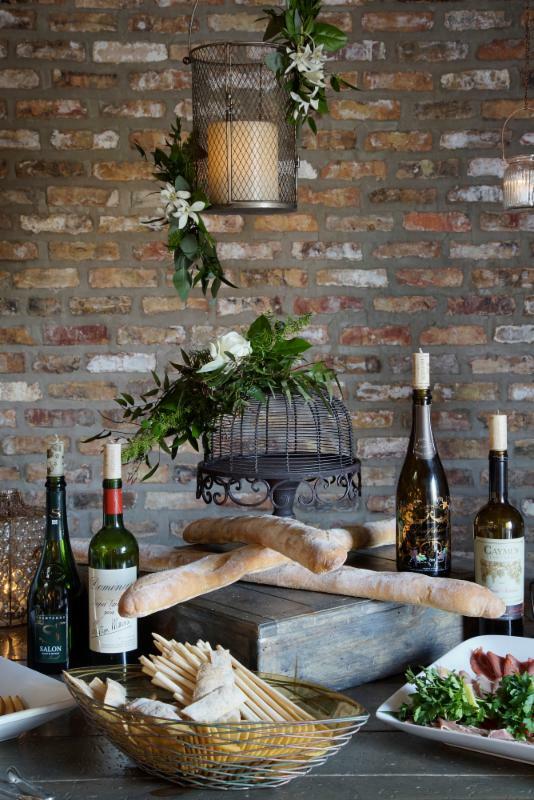 We love Mary Ann's detail of the wine corks shown here that are really candles! And a special thanks for the wonderful photos by Eric Hausman who is known for his interiors photography and is a long time customer and friend of Chef Fredy's.